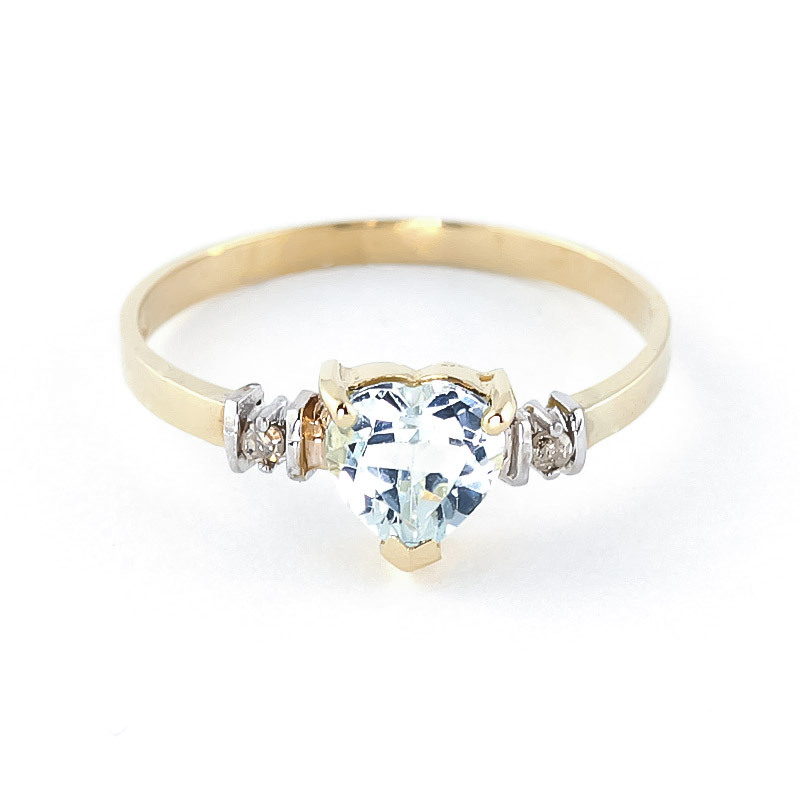 Aquamarine & diamond ring handcrafted in solid 18 carat gold. Single 0.95 ct natural aquamarine, grade A, two diamonds, I-3/K, total 0.03 ct. Heart cut. 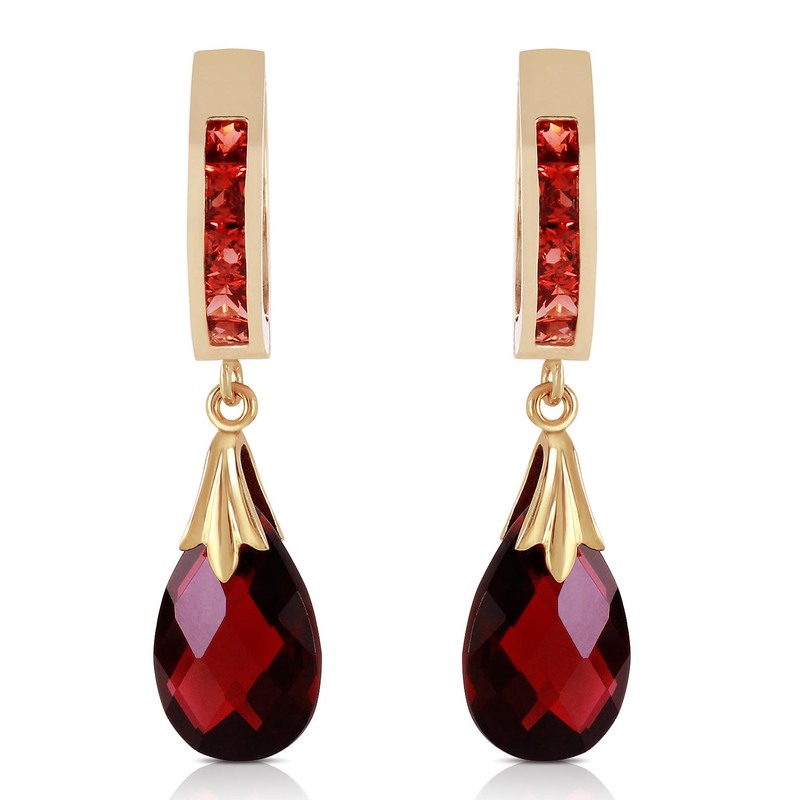 Available from sizes A to Z including half sizes. 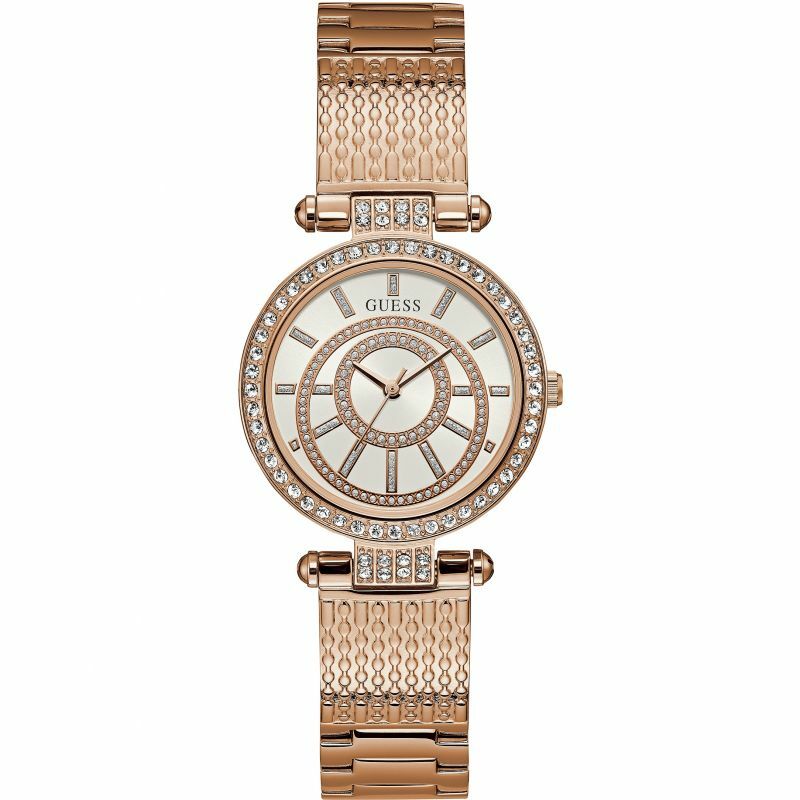 GUESS Ladies rose gold watch, white dial and rose gold textured bracelet.